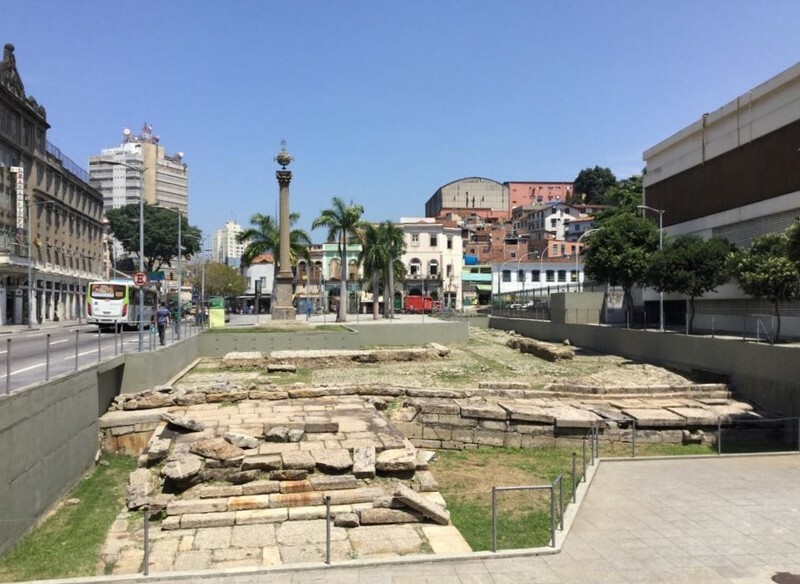 In 1779, the Viceroy of Brazil, Marquis do Lavradio, commissioned a new port logistics project that moved the main slave trade activity away from the center of the city at Praça XV. The Valongo, which means "long valley", was an area of the city that was then considered more remote, but today is found in Zona Portuária, the Port Zone. The "Valongo" is not a specific spot in the city, but a region defined by a long, low sweep of beach that stretched between two cliff formations. The Viceroy's new port project came under the ever increasing pressure of abolitionist working out of the Black Church combined with his own experience of the horrors that were unfolding daily under his own nose at the Imperial Palace. It's important to remember that at that time, slavery did not just present itself as a moral issue, as a matter of human brutality defined by shackles, chains and whips. The public presence of the state of the bodies of the captive Africans was horrific in and of itself. Imagine the disease, the filth, the stench in unloading this "cargo" from the ships. And remember to imagine those who didn't survive the passage, those who died in the last days on the ship or in the first days on shore. There were stacks of dead bodies rotting at the ports and left piled on the beaches. Travel journals from the time describe people setting fire to piles of decomposing bodies on Copacabana beach when the stench became unbearable. So while Marquis do Lavradio could deny neither the moral truth of abolition, nor the public health threat posed by the conditions at the port, ultimately the Crown was dependent on the wealth that was being generated from the African slave trade. In the end, he simply pushed the trade out of sight. His new logistics project would include the infrastructure needed to expand and increase the traffick in captured Africans. The larger ships would drop anchor offshore, and the Africans would be sorted according to their physical condition. Those deemed "fit for sale" would be loaded into smaller boats and taken to the Valongo Wharf and on to the warehouse (wholesale) to be sold to the markets (retail). Those who were too frail or ill for were sent to the "fattening house" to recover. And finally, there was now a cemetery for the pretos novos— the newly arrived, who did not unltimately survive the journey. 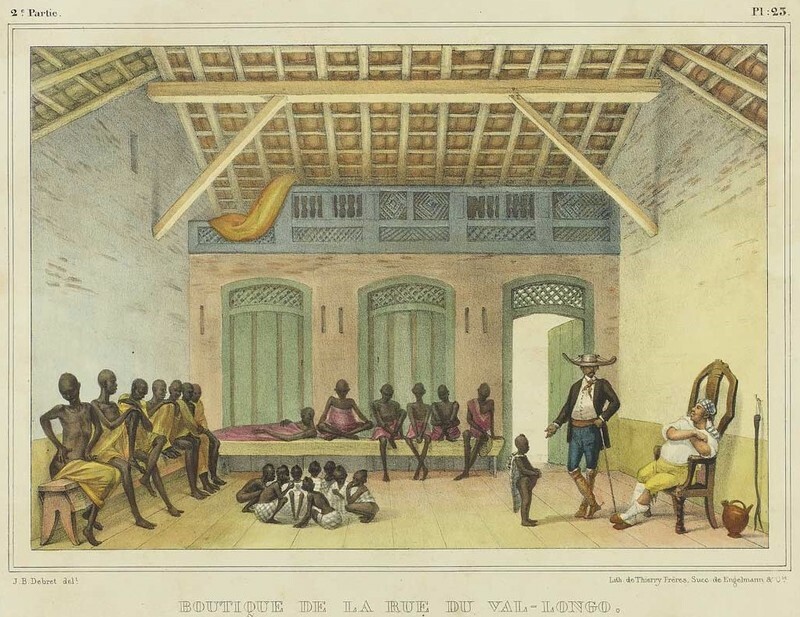 The most commonly recognized image of the Valongo is the 1830 rendering above, by Jean-Baptiste Debret. The Valongo was what we would call "wholesale" or "warehouse" for merchandise. Captured Africans could be bought and transferred to a "retail" market. Many of the sobrados (two-storey houses) across the street from the Valongo were such "retail" outlets. The family would live upstairs and keep their shop downstairs, reselling Africans that they had purchased from the Valongo. Africans could be bought individually, or by weight. The strongest, healthiest males were sold individually at the highest prices. The elderly, sick, disabled and the children were often sold by weight. That means that a buyer could bid on 300 pounds and get whatever combination of persons roughly met that weight, depending on what was available. Perhaps a pregnant woman, a toddler and a teenage boy; or an injured adult male and his mother; or that group of little kids sitting on the floor. By the early 19th Century, one third of Brazil’s population was enslaved; half (50%) of Rio de Janeiro’s population was enslaved. 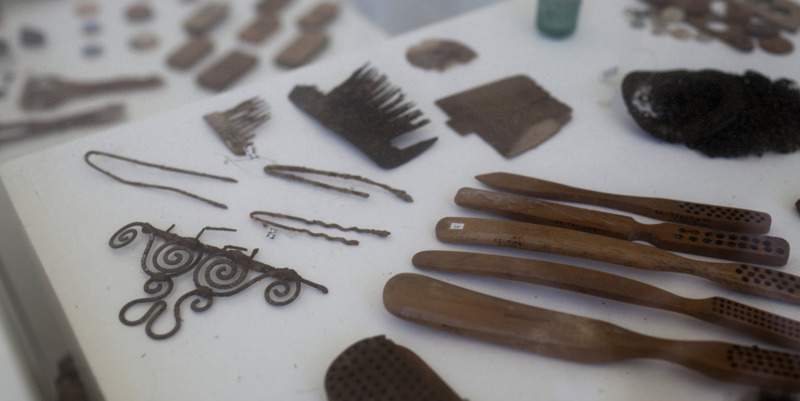 The enslaved of Rio de Janeiro constituted the largest urban enslaved population since the Roman Empire. Brazil signed a treaty with Great Britain in 1826 to end the African slave trade. The trade continued in Brazil, unabated, and this event gave rise to the expression, “For the English to see.” Today, Brazilians use this phrase whenever the government enacts a policy it clearly has no intention of following. The importation of captured Africans to be sold as slaves was ostensibly ended in 1826 with an article declaring that it would not be “lawful for the subjects of the Emperor of Brazil to be concerned in the carrying on of the African slave trade, under any pretext or in any manner whatever, and the carrying on of such after that period, by any person, subject of His Imperial Majesty, shall [should] be deemed and treated as piracy.” This addressed only the importation of captured Africans and not any matter of domestic slavery. However, it is well known that Brazilians did not heed this article and by 1831, simply shifted business to smaller ports, labelling the chattel as "chickens". In Rio de Janeiro, the trade shifted to Angra dos Reis and in the Northeast of the country, now a lovely 5 star resort area, you can find the city of Porto das Galinhas, The Chicken Port. The Valongo Wharf was covered over and re-dedicated for the arrival of Tereza Cristina, the Princess of Two Sicilies, who would be the bride of the future Emperor Dom Pedro II. In 1843, it was christened Cais da Imperetriz (The Empress Warf), and later, in 1911, filled in and paved over as an open road. 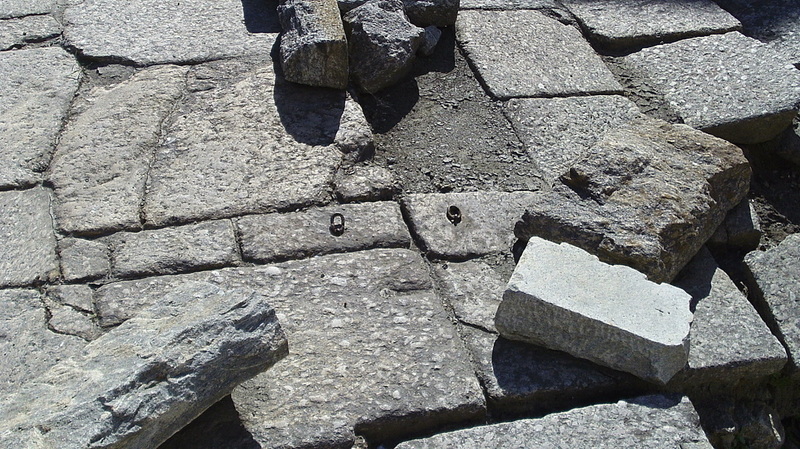 One hundred years later, in 2011, as part of the port development project to revitalize the area for the 2016 Olympics, the Valongo was unearthed when city workers began digging up the road for a drainage improvement project. A heated battle ensued between the government and members of the local community of Gamboa together with various Black Movement organizations. 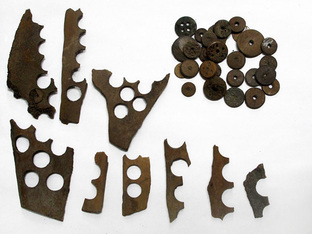 Today, the Valongo is protected and preserved as a UNESCO World Heritage Site. Av. Barão de Tefé, 98 - Saúde ~ This street address should work in your mobile phone apps. 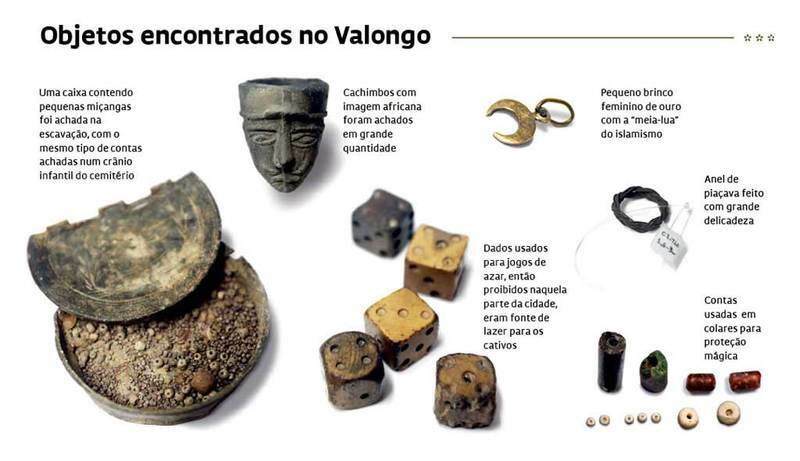 Sadakne Baroudi, “The Valongo,” Afro-Rio Walking Tour, accessed April 26, 2019, http://afroriowalkingtour.com/items/show/11.